This Monday was day two hundred of Project Every Day. That means I am officially half way through this project. 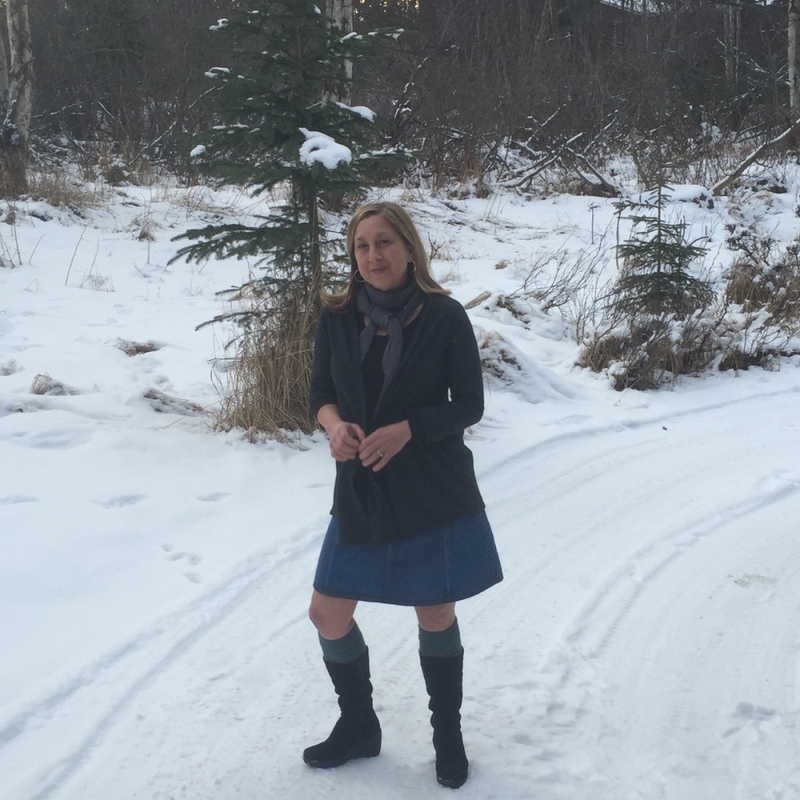 On January 15—my 50th birthday—I began to wear only clothing that I have made. 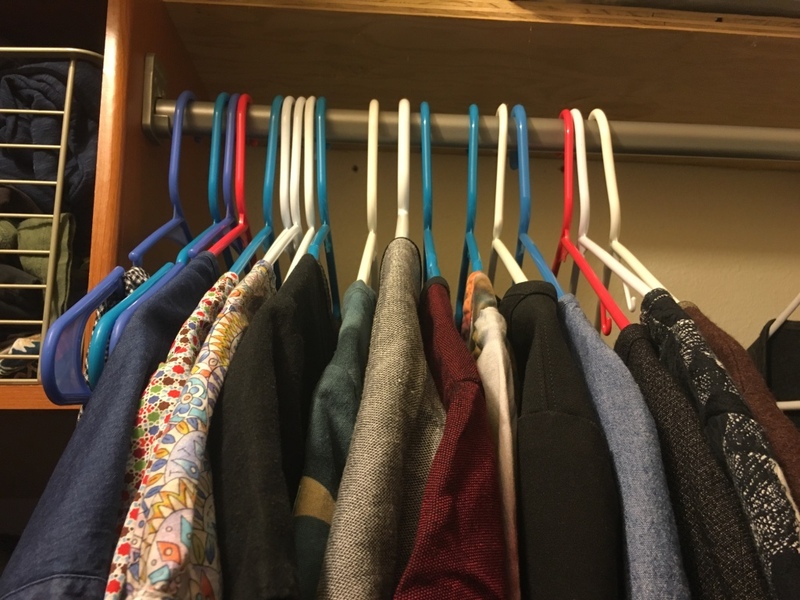 What I tell people is no outer or under—just the regular clothes. Someday I am going to make a jacket, but I am really not that interested in underwear. For several years, I have wanted to do this. I used turning 50 as an excuse. Right? You should do something outrageous when you turn 50 and maybe every year afterwards. That is one of the things I have learned from this project. Don’t let fear of making a fool of yourself every stop you from doing the things you want to do with your life. Just announce your intentions and then go about your business. You will be surprised by the magic that follows. When I started the project, I did not have very many handmade clothes. Originally, I wanted to launch the project with a complete and fabulous wardrobe. But then I realized two things—1. I would never feel that my wardrobe was adequate enough to begin, and 2. Where is the journey in that? I now have 18 woven tops and tunics. 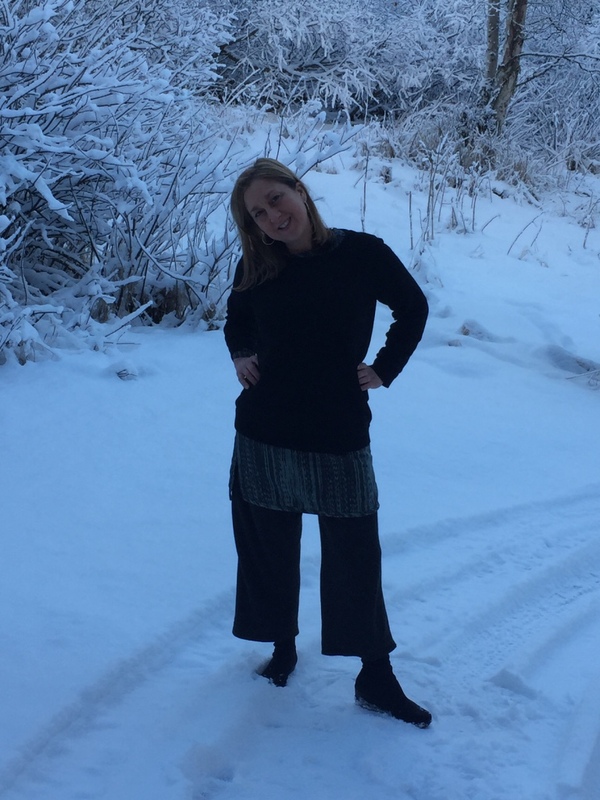 In the beginning, it was hard for me to face my closet and try and create outfits when I had only one pair of tights and two pairs of pajama bottoms. But limits, as many of you know, can result in interesting things happening. On more than one occassion, my knees were exposed to freezing temperatures. I wore wool knee-highs and kept going. It really isn’t that cold when you wear fleece lined boots with your skirts. The first few months were about getting the wardrobe up to speed. I needed pants. I needed layers. I needed more color. About the color. Well, if you only have a few garments, you want them to all work together. I started with black and grey and then I added blue. I acknowledge that this might be boring for the viewer, but I can build lots of different outfits with garments made in a limited palette. Here is a bit of color for you. My garment sewing skills are way better than they were at the beginning of the year. Practice—this is true with almost all things in life—will improve your ability to do the task at hand. Artist and blog writer Kathy Loomis has long been an advocate of daily art projects. This has always fascinated me, and I actually tried a couple of times to start a daily art project, but it never stuck. At some point, I realized that Project Every Day was an daily art project, and I was doing it every day. I also knew that the wearing of handmade clothes was the easy part of the project. 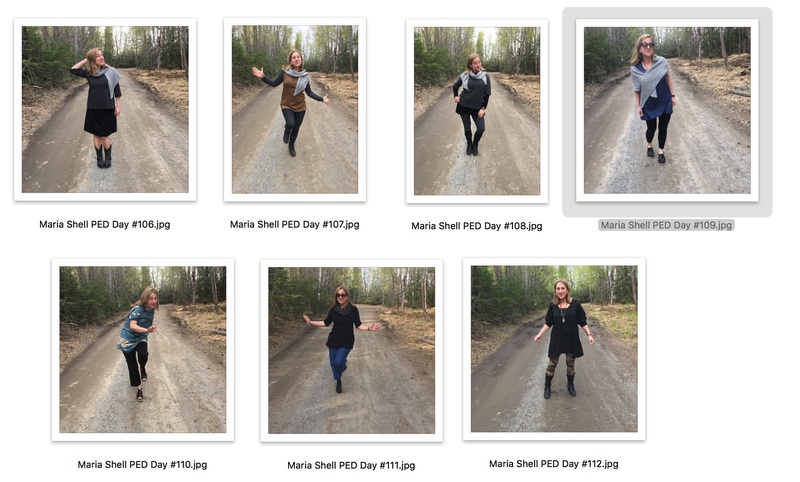 I wanted to properly and publically document each day. I had no idea how hard this was going to be. I got terribly behind in the beginning and spent a good part of May catching up. The most important thing with a daily project is to NOT GET BEHIND. The first step of the documentaion process was to find a photographer. In the beginning, my husband and sons would take turns. They hated it. “I did it yesterday! Make Ozzy do it.” Finally, son number three made a deal involving some new computer parts, and I had a permanent picture taker. This is him pretending to be me. Tripp takes approximately 60 photos every day. As he takes the pictures, I turn in a complete circle. Hopefully that daily turning will eventually have a meaning of its own. Here is a daily photo shoot. 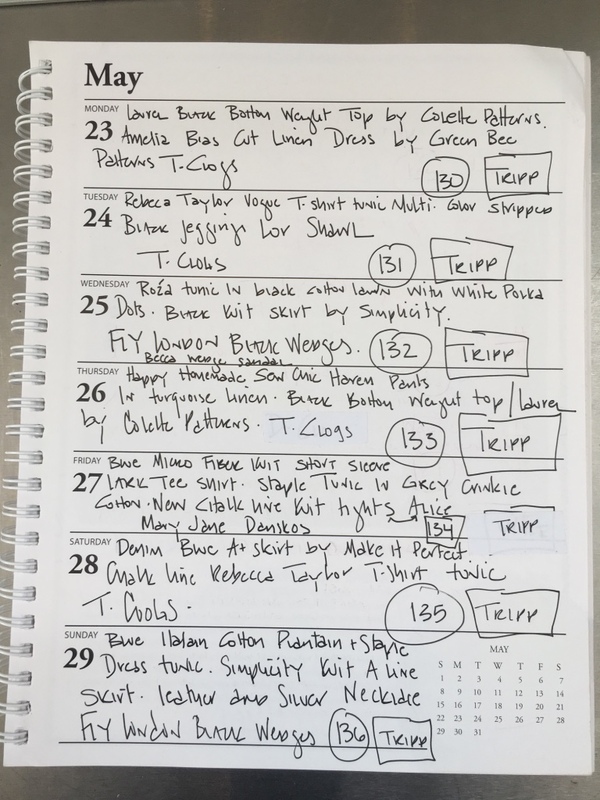 I write down each day’s clothing in a calendar along with the “number” day of the project and the name of my photographer—sometimes Tripp isn’t around when I need him. I post one image daily on Instagram. 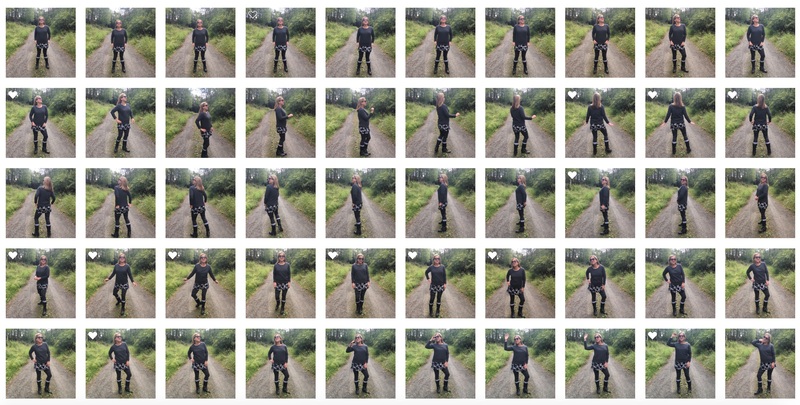 This is what my Instagram feed looks like. 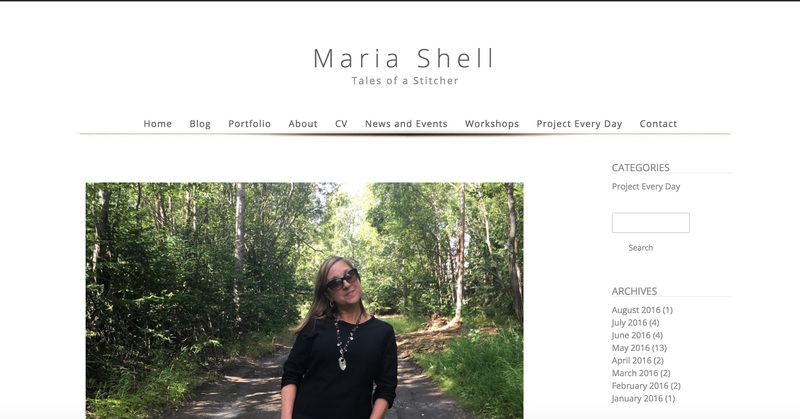 I then write a weekly blog post which you can find on my website. This post provides links to all of the patterns I used in making the garments. So, you too can make these clothes. 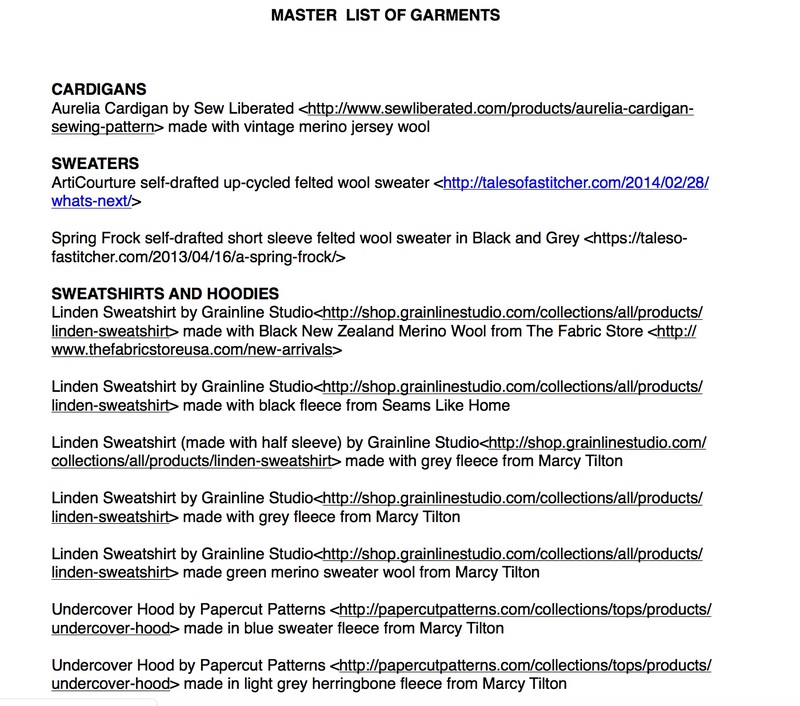 I compile the weekly blog post using my Master List Of Garments. As I make new garments, I add them to the Master List. I also document when each new piece is added to my wardrobe. I don’t like to think about this, but the first 100 days of the project where a bust. We had been taking the photos very close to the house and the snow and ice hid the ugly terrain underneath. When the snow melted, we realized what we had done. We spent several days trying out new locations in the yard. We finally settled on the road we live on. It is a very short dirt road maintained by us and our neighbors across the street. Here is the first full week of shooting in the road. Now that is a way better visual. At this point, it became clear to me that the road was actually part of the project. 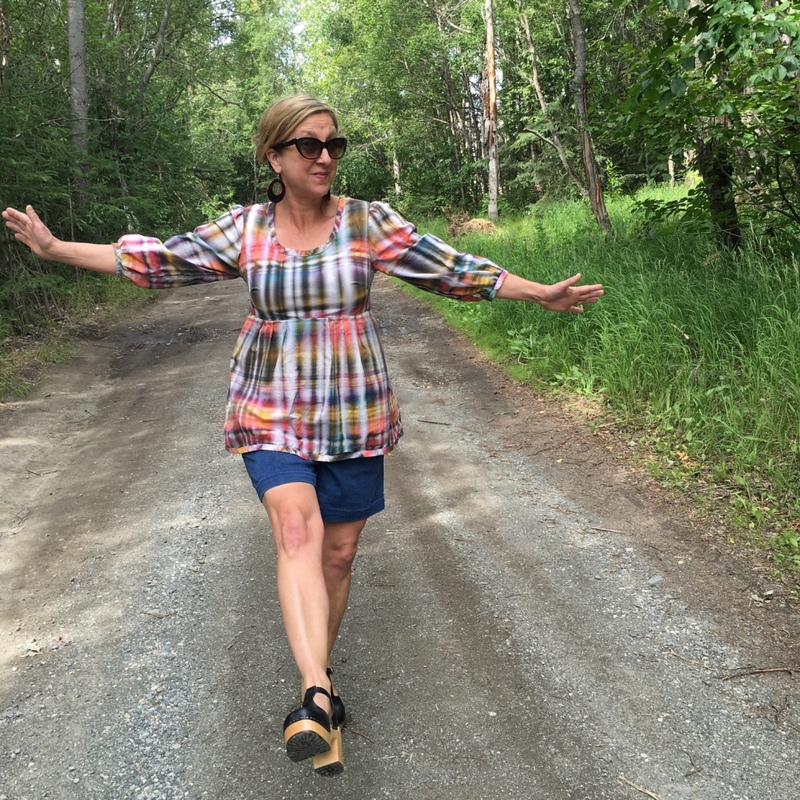 I stand in the middle of the road and turn around slowly while Tripp or another photographer takes my photo dozens of times in the hope that when this is all done, I will have a cohesive project to share with all of you. If it takes two years, so be it. A friend told me that wearing my own handmade clothes may bring me notoriety but quilting would bring me fame. I know. I am quilter maker at my core. Still, there is still something that compells me to do this project. Roads, clothes, and turning like the earth in a full rotation every day, may or may not amount to what is in my head, but I am going to keep at it until I figure it out. 03 Aug	This entry was published on August 3, 2016 at 3:17 PM. It’s filed under Project Every Day and tagged Hand Made Clothes, Project Every Day, Project365, Wear What You Make. Bookmark the permalink. Follow any comments here with the RSS feed for this post. My hat’s off to you, Maria (if I were wearing one). You stuck with it, and it was all worthwhile. The best part is seeing how happy and pretty you look in your home-made clothes. Personally, I got the ugly stepsister award when I wore anything I made. I look better wrapped in one of my quilts than I do in my handmade clothes. It would be very vogue of you to wear quilt! I remember some fashion show here a fellow wore one that had been redesigned into a trench type coat. It was the rage of the show. Thank you Pam. I know it may not make sense, but I am sticking with it. It’s amazing that you actually have a written record of your work. The written record is the hard part and the photography. It is very easy to get behind, but I think half way into it, I figured out a system. Plus catching up is so painful, I really try to avoid that situation. Thank you Sharon! Great post Maria! I really admire your sticking to this very long term project. Thank you Beth. I am surprised at the fact that I am sticking with it, but once you get going it becomes part of you and you just do it. Maria, you are such an inspiration!!! Time to start my project! I would love to hear about your project. I am sure it will be a good one! Love your project on many levels. Thank you Susan! I truly appreciate that. Au courant is all I can say but can’t spell it! Tunics, layers, scarves, and color breakout are wonderful. I call your sewing wardrobe a success. What do you eat for breakfast is all I can say. Your energy is boundless. Send some to our HOTHOTHOT SC summer-Phew! I hate to tell Carole, but is cool and coldy up here. My oldest son’s favorite weather–50 with clouds. Walt and son number one were in Oregon last week for college orientation and they both about melted away. Neither of them can handle the heat. I, on the other hand, love that heat. Stay cool! Carole! I got them! Thank you! They are hanging in my studio where I can enjoy them every day. I apologize for the slow responce. This may be my busiest season every. I disagree. I think at your core you are an artist. This project is art. While the documentation is the hard part – it is brilliant – it is what turns this from cool idea into art. One of the most interesting exhibits I’ve seen at the Guggenheim. Thank you Lisa. Wait until you see the video! I am impressed to no end and look forward to your IG photos, though admittedly they make me feel slothful (I’m not!–only slow). Is it hard to go back and forth from clothes to quilts? And why so many photos? I agree about the road. It has been a fun fixture and a perfect symbol of journey. Dear Audrey–I love wearing my own clothes. I love it more than I do making them. I should write a post about what is like to go back and forth between clothing and quilts. That is a great Idea and I don’t have the answer yet. We take a lot of photos for two reasons. One–sometimes it takes 60 photos to get a good one, although both the photographer and I are getting better at that. And two–I hope to animate the project when it is done. We will see. Thank you for visiting! I like the road too! How interesting – and I’m impressed by your organization! Whoop whoop!! Thank you Sarah! I love feeling organized, wish I felt that way more often! This is just fantastic and You’re doing a brilliant job! well done and keep it up! I hope you do a big compilation of all your outfit photos together at the end, it’s fun to see them all together! 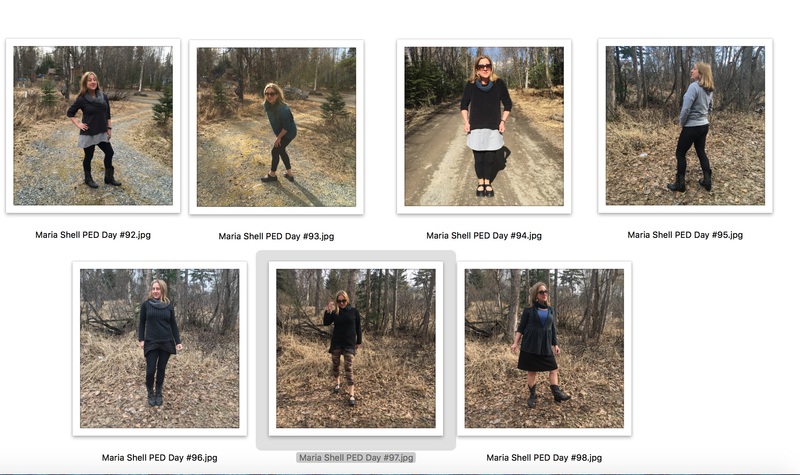 Mine are all in my flickr album, along with the documentation of all the pieces I’m wearing (patterns, and with links to the individual blog posts where I made them)… but I’m thinking of making a big collage of them all together for my blog at the end of my project too. It’s amazing that we’re doing such similar projects, how fun it would be for us to meet up! except that we’re on opposite sides of the globe! Wow. Thank you Carolyn for stopping by and commenting. You know, as I do, that the really hard part isn’t wearing the clothing you have made–it is the documentation! I truly enjoy your work and following your progress. It is incredible! Thank you!